MISSION, KS--(Marketwired - May 31, 2016) - (Family Features) While striving for goals can ignite and inspire you to reach new heights, maintaining proper nutrition and snacking habits is vital to performing your best. Snacks are designed to keep you satisfied between meals and provide you with energy and nutrition, but it's important to make every snack count when it comes to curbing hunger and delivering important nutrients. 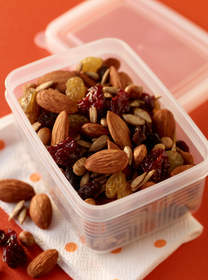 For example, a snack such as a handful of tasty almonds provides 6 grams of hunger-fighting protein, 4 grams of fiber and 13 grams of unsaturated fats, which can help tide you over until your next meal. Learn from the snacking habits of 20-time World Championship medalist and 12-time Olympic medalist Natalie Coughlin, who knows that hard work, dedication and a nutritious diet can help you achieve the extraordinary. Coughlin has teamed with top U.S. rugby players Zack Test, Carlin Isles and nationally known sports nutritionist Cynthia Sass, in partnership with the Almond Board of California, to provide their top tips and life hacks about how smart nutrition can help you achieve your fitness goals -- no matter how big or small. These recipes take you throughout the day, starting with breakfast then snacks, a post-workout treat, dinner and even dessert. 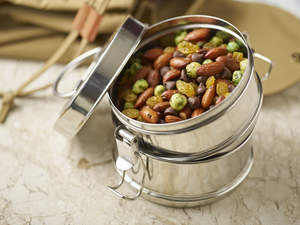 To find more recipes, as well as training tips, nutrition plans and fitness regimens, visit Almonds.com. After an intense training day, Coughlin turns to a recovery smoothie like this fruity, nutty combination. "It's delicious, filling and helps prevent muscle soreness post-workout," she said. Early mornings call for a quick breakfast. 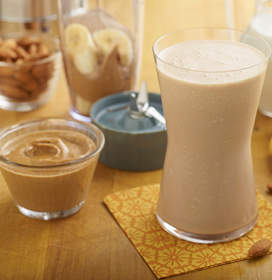 This shake is big on flavor and protein for a jump-start on a busy day. 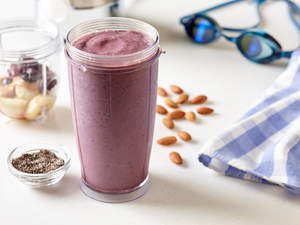 "When I'm looking for a quick breakfast shake I can make in the morning before practice, my go-to is this delicious and filling Chocolate Almond Butter Shake," Isles said. Whether he's headed to matches around the world or going on vacation, Test keeps this tangy trail mix on hand to stay fueled and energized on the road. When a snack attack threatens, it's smart to have an on-the-go solution handy. "I love to have a huge batch of this trail mix in my gym bag and suitcase so I can snack smart and never get too hungry," Isles said. 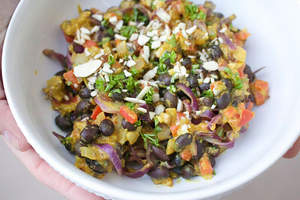 "A major trend in sports nutrition is eating more plant-based meals, but a meatless meal doesn't have to mean munching on salad alone," Sass said. This dish packs plenty of slow-burning carbs, plant protein and good fat to keep you satisfied but not sluggish. 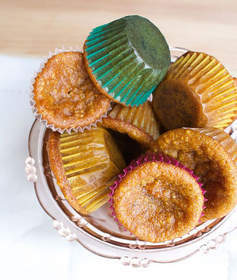 Athletes burn more calories and can afford a treat here and there, but Sass recommends making your goodies with nutrient-rich ingredients and building in portion control tactics -- such as miniature desserts bursting with vitamins, minerals, fiber and antioxidants -- so you won't eat back all or more of the calories you burn. Eating sensibly doesn't mean you have to cut out indulgences completely. Desserts like this one can actually deliver some nutritional benefit while answering your cravings. 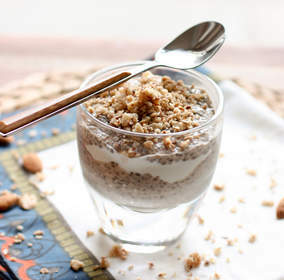 "This pudding is a delicious yet nutritious way to satisfy your sweet tooth," Coughlin said.